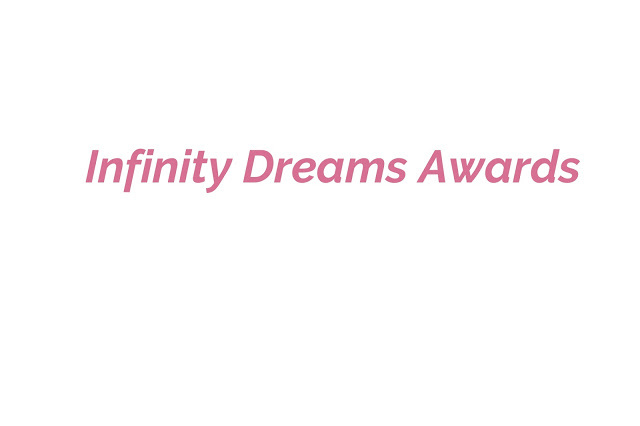 Infinity Dreams Award - Nominated by Annie! Another week another blogger tag! And I say that in only the fondest of ways because I flippin love being nominated for these awards and tags! It makes me feel like I'm doing something right, that people are reading my blog and seeing me on social media and it also offers up a new type of post on my blog, a new type of content I can include. So I hadn't heard of this award before I was tagged but by my understand it's pretty much like the Liebster award in that you answer 11 questions, ask 11 questions and then nominate other bloggers but interestingly this one also asks you to give 11 facts about yourself which I quite like. I was nominated by the beauty that is Annie of anniens.blogspot.co.uk, a blog you should definitely check out even if only for her bio pic because it is the cutest happiest blog photo I've ever seen (and then while you're there go check out her posts because she's a cracker.) So huge thanks to Annie you mega babe for nominating me and you can find her on Twitter over here! My name is Welsh and everyone assumes I can speak it but I (very ashamedly) only speak a couple of words. I have 47247238964537647825 allergies including nuts, pollen, cats, dogs, dust and shampoo/conditioner. I have a niece who is turning one on the weekend. I haven't had unpainted nails since I was 17 years old. I am 24 this year. I have a cat called Mildred who came to us as a stray 5 years ago and never left! I once got my finger stuck in a typewriter and my Mum had to run it under cold water and spread butter all over it to get it off and I nearly fainted. I have one brother who is only 20 months older than me so is just the year below academically and we can pass off as twins 90% of the time. I went to Reading festival in 2011 and it was the muddiest most mental long weekend of my life. I graduated in 2015 with a 2:1 degree in Illustration, Children's Publishing and Graphic Novels which is a cute niche title. I only learnt to drive last November but passed 3 weeks after my first lesson and bought a car. I own a cactus called Vernon who has sunglasses and a moustache. My blog actually started in about March last year when my university tutors suggested we make one to add to our professional websites. It started off just a few blogs about my exhibition and my artwork, just to keep my hand in and then I just kept writing more and more and hey whadda ya know, now it is the form it is today. Oooft what a question??!! Obviously I couldn't choose between my parents and my boyfriend, my brother and my grandparents so I guess I'll cheat and say the most important new person in my life is my neice. She's everything I didn't know I was missing! Gosh a bit of everything! I've been tweeting my driving home playlist every now and then because it does make me laugh sometimes the randomness of the shuffle on my Ipod. For example today when driving home I started with Dancing Queen (Mamma Mia soundtrack version), moved on to Crash - Matt Willis, Fans - Kings Of Leon, Do What You Want - Lady Gaga and finished with Do I Wanna Know? by Arctic Monkeys. 4. Is There Any Life Advice Or Tips You Have Learned In The Last Year? I've had a massive change in life since my niece was born, since I moved home, since I learnt to drive, since I graduated from uni and whilst I don't have one big iconic quote that springs to mind I think the biggest lesson has been that university doesn't translate into a career. I learned that one very fast! 5. What's Your Plans For The Summer? I haven't got a great many plans for the summer because when you're out of education there's this weird bubble where you don't have a definitive end to summer? So maybs summer is all year round, that'd be nice except for Christmas. The one solid plan I do have is a 2 week break in the arse end of nowhere in a little cottage in the south of England where phone reception and wifi is limited apparently. 6. If You Could Go Anywhere In The World For A Month Where Would You Go? If I could only stay in ONE location it'd have to be somewhere warm and sunny and relaxing like Bora Bora so let's hope someone else was paying for me! If I could go absolutely anywhere I'd go on a round the world trip. I once looked into a Seven Wonders Of The World tour which was over a month and looked incredible but sadly cost seven grand. This is a bit embarrassing because I have been reading this book for months and months but have barely got into it because I am too busy but I am reading Late Fragments: Everything I Want To Tell You (About This Wonderful Life) which is a memoir by Kate Gross, a woman who died young on Christmas Day leaving behind her young children. Me and my boyfriend's family once accidentally walked into a MayDay parade in Litchfield and people were shouting at us for getting in the way and kids were kicking us through the barrier because they thought we were pushing in. It was all fun and games. 9. Is There Anyone Who Inspired You To Keep Doing What You're Doing? Loads! I wouldn't even be able to name them all but mainly freelance illustrators and designers like the lovely lady behind Hutch and Willow and Nina Cosford and Emma Yarlett whose Instagram grids fill me with inspiration daily. 10. What's Your Goals For September? God doesn't that seem miles away? I'd love to have hit some major milestones on my blog by then and done some collab pieces with brands I love and preferably have done some good illustration projects to boot too. On the whole, pretty lovely! I feel like summer is really under foot now and that improves my mood and my productivity ten fold. I've been on some lovely days out and weekends away, my car has given me all the pleasure in the world, my niece, family and boyfriend have provided me with enough belly laughs to fill the year and I've caught up with my best friends. Now if I could just earn a teeny teeny bit more that'd be great! So I'm not actually going to nominate anyone for this tag (praying it doesn't die with me) but I have been nominated a lot lately and people are probably sick of me! But if you're reading this and you want a go or if you haven't been nominated for something like this before and you'd love the chance, please feel free to take it on and tag me to let me know you've done it! 11 Questions Of My Own! Why did you decide to take on this tag? Give us an into to your blog and your brand? What's your absolute worst habit? Where's the best place you've ever travelled? What's your current TV fix? What's your favourite thing about yourself, give yourself some love! Who's your biggest inspiration and why? What's your blogging pet peeve? What can't you resist when you're out shopping? What have you got planned for the rest of 2016? Hope you have fun with the tag if you take it on and make sure to link me! May 24 7 Things I Read Online This Month.